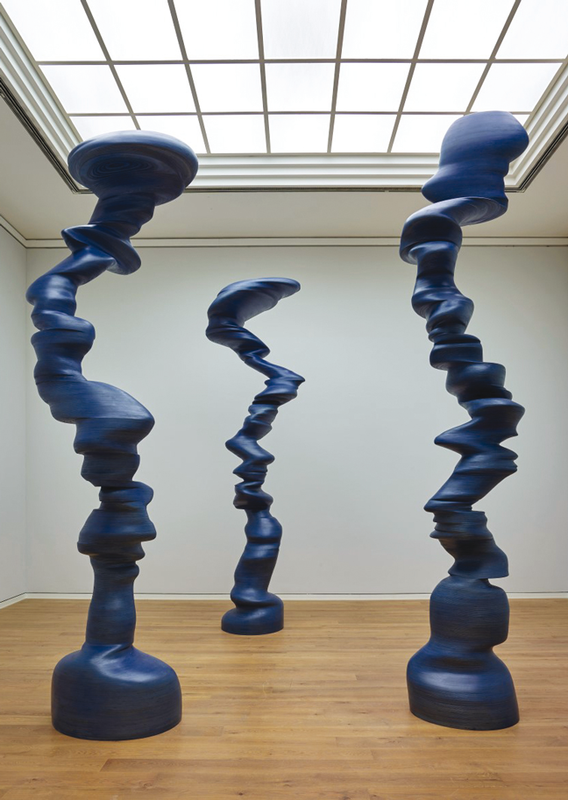 The exhibition by Tony Cragg at Mudam Luxembourg does not aspire to be a retrospective. 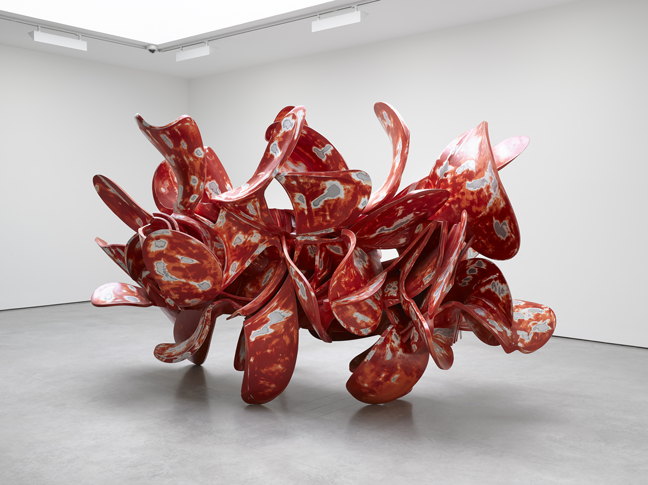 Bringing together a selection of sculptures from the past twenty or so years, it aims to present the diversity and energy characterising the work of this internationally renowned and tremendously productive artist. Although Cragg approaches questions of form and material not unlike a traditional sculptor, he firmly believes that any imaginable material can be a carrier of meaning, imagination and emotions. For him, sculpture is a medium turned towards the future, a medium whose potential is far from exhausted. 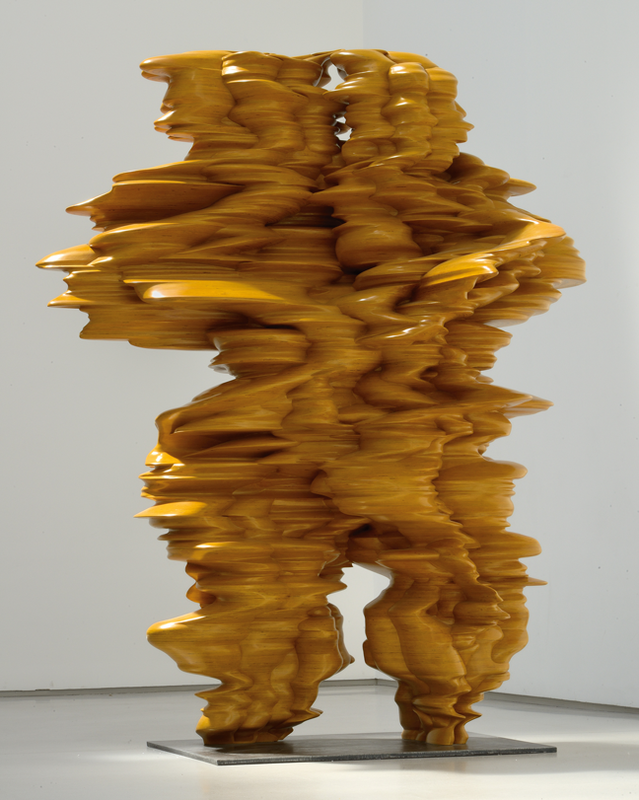 ‘The future of sculpture has only just begun’, he explains. ‘Its potential is greater than ever, and its possibilities are just starting to unfold.’ In this conception, art occupies a territory between the organic realm of nature and the functionalistic remit of industrial production. Offering a space of freedom beyond utilitarian needs is therefore what constitutes the explicitly political dimension of his art – or of any art, for that matter – as it allows him to give the material a new form with every new sculpture and express his feelings and emotions in constantly changing ways. ‘Sculpture is how material and material forms affect us’, says Cragg. Reaching beyond viewers’ emotional receptivity, it appeals primarily to their intellectual capacity of analytical perception in order to make sense of what they see. Cragg was a twenty-year-old laboratory assistant in the rubber industry when he decided to pursue his interest in drawing and study art. Graduating from the Royal College of Art in London in 1977, his early works were characterised by a dialogue with some of the artistic movements of the day. Minimal Art, Conceptual Art and Land Art but also Arte Povera influenced his sculptural work based on ready-mades, found objects and ‘poor’ materials, but they soon made way for an artistic examination of the issues that mark Cragg’s work to this very day: form and material, content and appearance, the production process. Following his boundless curiosity, Cragg was able to make use of almost every conceivable and suitable material in his work. Every new sculpture in his oeuvre evolves out of the previous one. Cragg has thus created a sculptural universe in which various ‘families of works’ branch out and develop in parallel, giving shape to countless, sometimes intersecting variations. In his early works, he combined or accumulated plastic or wooden debris, building materials, bottles, mechanical elements and the like into abstract or distorted figurative motifs. Gradually, his sculptures unfolded within a wider scope ranging from organic to technoid forms, yet without entirely renouncing the use of identifiable elements. 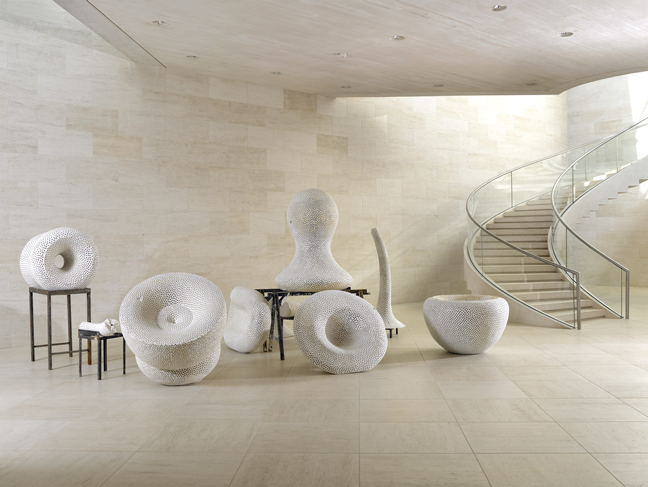 Increasingly, his attention turned to the ‘classic’ materials of sculpture such as plaster, wood, bronze and stone – though never shying away from new materials such as fibreglass or Kevlar. This approach resulted in sculptures of increasing complexity, as with every new work, Cragg is looking to create something that surprises himself as much as its viewers, and trying to find a ‘missing form’. Although in recent years he has developed a kind of protocol for form-finding, he sees himself merely as an ‘agent’ who enables forms and their inner energy to come to the fore. ‘Even if it’s nothing linear, things generate something. There is a kind of self-propagating, self-generating energy within the material itself.’ Drawing, one of his main daily activities, is an essential tool in shaping and creating these sculptures. As a medium of abstraction and shortcuts, it allows him to work on formal problems to such an extent that they are ready to be solved during their three-dimensional implementation. Although the works in the exhibition at Mudam are characterised by great diversity, they are all related to each other within the artist’s wider oeuvre.